Goldilocks Effect: Learning When It's "Just Right"
Young children seem to recognize that knowledge is an essential shared resource, like air or water. They demand a fair share. They actively espouse the right to gain skill and comprehension in a way that’s necessary for them at the time. Often children seem to reject what they aren’t ready to learn, only to return to the same skill or concept later with ease. This is not only an expression of autonomy, it’s a clear indicator that each child is equipped with an learning guidance system of his or her own. I wrote these words in my book Free Range Learning (affiliate link). This concept is now being called the “Goldilocks effect.” According to a study published in the journal PLoS ONE, humans are cued to ignore information that’s too simple or too complex. Instead we’re drawn to and best able learn from situations that are “just right.” It’s the educational equivalent of Goldilocks on a porridge-testing quest. The study focused on how babies make sense of our complex world. For years researchers have noticed a contradiction. Sometimes babies prefer to look at familiar items, like a toy from home. Other times they prefer to look at unfamiliar items. Turns out this isn’t a contradiction at all. Babies self-regulate by choosing the amount of novelty and complexity that’s right for them at the time. They also, according to the study, actively seek out the most reliable information and can predict what will happen next based on what they’ve seen. Babies are a great way to study human behavior. That’s because infants aren’t burdened with cultural and patterned responses. Babies indicate what all of us are like in our most basic form. 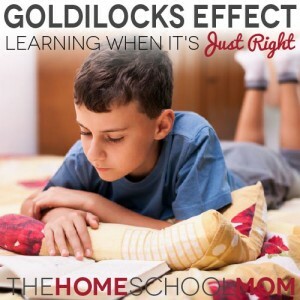 The Goldilocks effect has to do with learning at all ages. You are attracted to what holds just the right amount of challenge for you right now. Usually that means something that sparks your interest and holds it close to the edge of your abilities, encouraging you to push yourself to greater mastery. That’s the principle used to hold the player’s attention in video games. That’s what inspires artists, musicians, and athletes to ever greater accomplishments. That’s how kids who follow a fascination of their own tend to learn more than any prepared lesson could teach them. How do we see this in action? By looking at children through the eyes of trust. The little boy who’d rather stomp in muddy puddles after a rainstorm than attend story hour at the library may need that full sensory experience outdoors more than he needs, right now, to sit still in a group and listen quietly. He’d probably prefer hearing stories while sitting in a parent’s lap where he benefits from closeness and can ask questions as they occur to him. The girl who prefers to draw pictures of animals and fairies rather than run outside to play with the neighborhood kids may need more time for quiet self-expression than other children. Her imaginative art fuels growth in all sorts of areas, one of which may be a sturdier sense of self that will help her interact more freely with others when she’s ready. The teenager who drops out when she’s reached a high level of accomplishment in an area, say soccer or fencing or designing apps. What she’s learned in that field isn’t wasted. It’s taught her a whole range of skills and empowered her to move on. She may pursue other interests in what look like fits and starts of motivation. Or the learning situation that’s just right for her may look like boredom to others. She may need time to process, daydream, create, and grow from within before pushing ahead. Children naturally focus on what they’re ready to take in and do their best to set aside the rest. Often what they set aside is exactly what adults push them to master. We call this stubbornness but really they show us, over and over, that human nature flourishes best without coercion. Efforts to structure learning too heavily are likely to fail (or more often, the student will fail) if it’s not understood that we’re all cued to learn in the ways best for us. 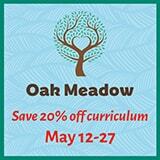 « Ask Jeanne: What Curriculum for Homeschooling Active & Outdoorsy Boys? 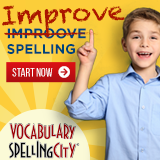 I have many friends that home-school their children, and are definitely benefiting from it. This was such an interesting and educational read, thank you for sharing. I never comment on the posts I read. It is not in my nature to voice an opinion already heard. However, this is a beautiful article which put to words the truth I have held in my heart while homeschooling one of my boys. People often wonder why we “do it” and this article sums up the answer to that question with acute precision. Well done. And thank you.